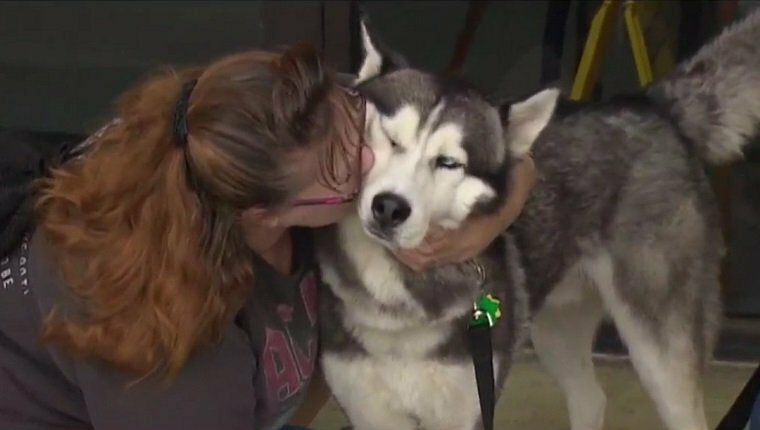 When Scout the Siberian Husky went missing, it wasn’t just a tragedy for his owner Wesam Alkhani, it was an emergency. Alkhani suffers from epilepsy, and Scout is his service dog who needs to be with him in case of an episode. So Alkhani contacted a news station that could broadcast his story and hopefully help him be reunited with his dog. Meanwhile, Scout had already been found and dropped off at Pasadena Animal Shelter where he was adopted out to a family. Just a few days later, that family was watching the news and saw Alkhani’s story. 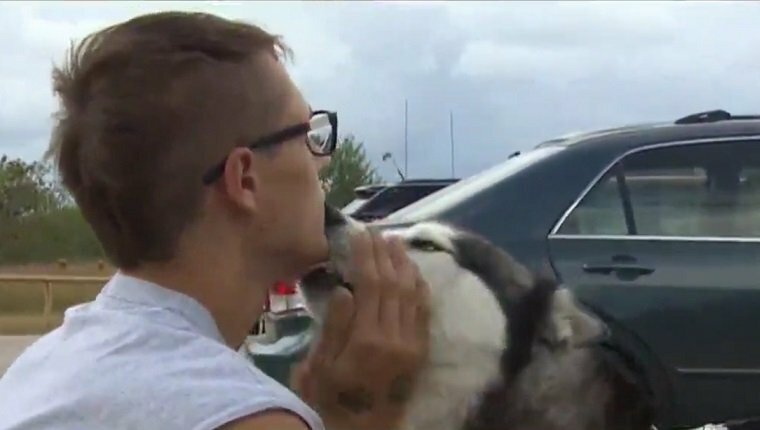 They hoped the dog he was talking about wasn’t their new pup, but after watching the report over and over again, they were convinced their new Husky was Scout. The family was under no legal obligation to return the dog, but they knew it was the right thing to do. They had grown very attached to Scout even though they only had him for a few days, but they agreed to give him back to Alkhani. They met in the parking lot of the animal shelter, which had adopted out Scout legally and by the book, and had a bittersweet goodbye. Alkhani couldn’t be more grateful, and even though the family was sad to see Scout go, they were glad to know he was with his rightful owner. Would you return a service dog that you had adopted to the owner? What would you do to get your dog back? Let us know in the comments below!